Ford's Transit cargo van was one of 37 vehicles named by Vincentric to have the best certified-pre-owned value over five model years. Ford and Toyota had the most models named as having the best certified pre-owned value across five model years and 37 segments by Vincentric, the vehicle valuation firm announced. In addition to the individual segments, Vincentric also named top CPO brands for six broader categories. Among those winners, Vincentric included Toyota for passenger car, Audi for luxury car, Honda for SUV and crossover, Lincoln for luxury SUV and crossover, Ram for truck, and Ford for van. Ford has topped the van category for three consecutive years, while Lincoln has done the same in its category. Vincentric studied vehicles in the 2014 to 2018 model years. 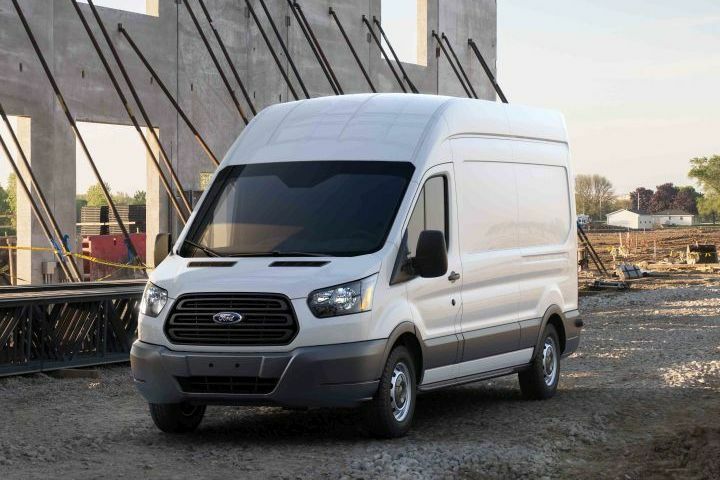 Truck-category winners included the Toyota Tacoma, Ford F-150, Ram 2500, and Chevrolet Silverado 3500, while van category winners included the Toyota Sienna, Ford Transit Connect, Ford Transit passenger van, and Transit cargo van. "Certified pre-owned vehicles continue to have high demand due to their strong warranties and lower transaction prices relative to new vehicles," said David Wurster, Vincentric's president. "The data-driven Vincentric Certified Pre-Owned awards can help buyers identify which of the many CPO vehicles in the market provide the best value." To determine the 2019 Vincentric Best CPO Value in America award winners, the company conducted a statistical analysis to reveal which vehicles had lower than expected ownership costs given their market segment and price. Vincentric analyzed over 15,000 vehicle configurations using eight cost factors, including depreciation, fees and taxes, financing, fuel, insurance, maintenance, opportunity cost, and repairs. The costs were measured after incorporating the specific CPO warranty offered by the manufacturer while also applying mileage requirements necessary to be authorized as an OEM CPO vehicle. Each CPO vehicle was evaluated in all 50 states and Washington, D.C., with the assumption that they will be driven 15,000 miles per year over five years. The spring / tax season market uptick helped make March a strong month for used vehicle sales, and late-model sedans from fleet leasing consignors continue to outperform their SUV/CUV counterparts, according to Tom Kontos, KAR's chief economist. Black Book analysts forecast an annual depreciation rate of 15% in 2019 as the supply of used cars and trucks increases, up from a "noticeably strong" 12.4% depreciation rate in 2018. Outside factors such as a record-spanning government shutdown, the polar vortex, and a hit to consumer confidence led to a slow start to used sales in 2019. The lull that the wholesale market experienced through January and February was upended in March, as the industry saw the traditional spring bounce in values, according to the most recent Manheim Index report. Vehicle depreciation accounted for 32.9% of the total cost of ownership over the past 12 months, which continues a three-year trend of declining depreciation costs, according to a new study from Motus. View photos from the 2019 Conference of Automotive Remarketing, which took place from March 25 to 27 at Caesars Palace Las Vegas. KAR's Warren Byrd earned Remarketer of the Year, while ARI's Chris Clarke won Consignor of the Year. Nick Peluso, president of Manheim Digital Marketplace, received the Ed Bobit Industry Icon award on Tuesday during an award ceremony at the 2019 Conference of Automotive Remarketing at the Caesars Palace in Las Vegas. The Federal Reserve has voted unanimously that it would not hike interest rates any further for the remainder of 2019. In the month preceding the start of the Spring season, trucks continued to show the resilience they've shown in past months. A few key segments showed particular strength and luxury vehicles continued to struggle.